We are thrilled to announce the Manchester Muslim Writers will hold sessions at the Manchester Metropolitan University. This follows the appointment of Zahid Hussain as a Visiting Teaching Fellow at Manchester Metropolitan. For quite some time, MMW has delivered events and workshops at different venues in the city. We started life at Shakespeare House (which no longer exists). For a few years we held meetings at Chorlton Library in South Manchester. About a year ago, we moved to the Edge Theatre and Arts Centre, also in Chorlton. Therefore, this new connection with possibly the most influential school of writing in the UK heralds a new phase in our development. A Move to the BMHC. This announcement is incidental to another one. The Manchester Muslim Writers’ official new home is the British Muslim Heritage Centre located in leafy Whalley Range. The BMHC has become the de facto cultural centre for Muslim communities in the UK. We are proud to be part of a growing team who are spiritually engaged and connected with mainstream society. We want to make Britain a richer place; all our partners are part of that world and of that vision. To celebrate our new relationship we are organising an event worthy of it. We will be inviting the poet and dramatist Hafsah Aneela Bashir to do a reading from her new collection of poems entitled Celox and the Clot. 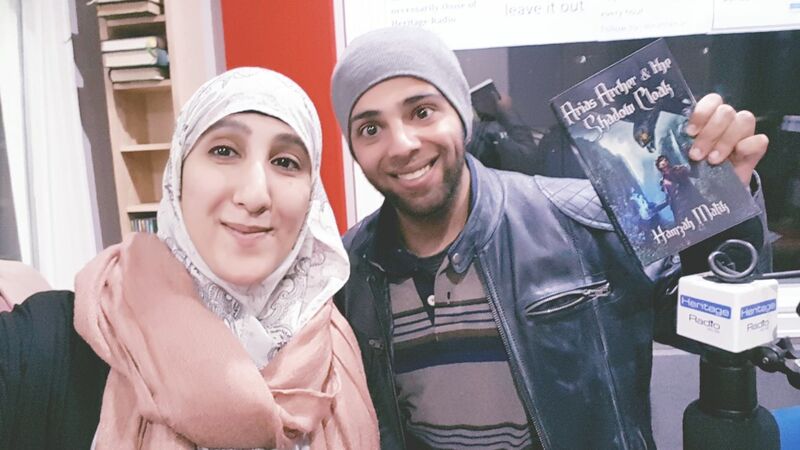 For those of you who know Hafsah well, you will also know she is a member of the Manchester Muslim Writers. The public performances we have done over the years would not have been the same without her. We shall be posting more information about the upcoming event soon.